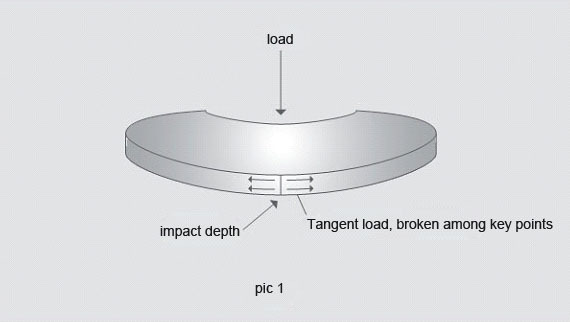 Third class: 6 mm ≤ thickness ≤16 mm, casting embryos, surface all processing to Grinding flat and punching, cold forming, inside outside diameter processing to acute Angle or fine punching, torsion spring cold forming, constant force spring acute Angle. But on the market at present, still have one of Worst class disc spring, its not only violated the DIN2093 and (GB/T 1972-2005) of the provisions of the standard, also do not conform to the disc spring quality requirements. 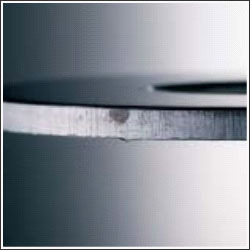 Manufacturing method is simple punching, rolling grinding remove sharp Angle. 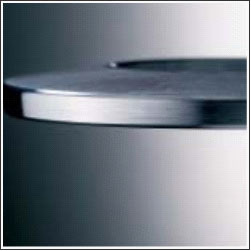 Note, this kind of product is suitable only for use in steady state . or must go through strict test, the technology can be used for the dynamic situation after approval. 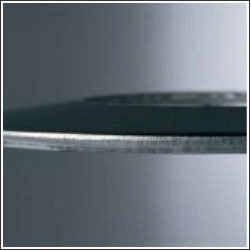 When Punching,disc spring impact surface will produce Small ditch lines . 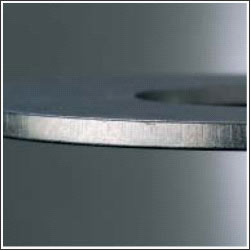 The disc spring according to the first methods of process, precision machining of the inner and outer diameter is no small vertical ditch lines, only horizontal sewing pattern, and the direction of tensile strength (the tangent direction), the rupture disc spring almost never happens.